Studies, assignments, presentations, projects, placements and what not… These two years are like a complete rigour package for an MBA student. However, the true essence of MBA life, which many of us miss in this tenure lies in participating in the corporate as well as institute organised competitions. The b-school and the corporate competitions provide a perfect platform for the upcoming managers to showcase their talent. Right from designing a complete marketing strategy for a new product launch to predicting the swing of the stock market, one thinks of the competitive skill and it’s being tested in the so-called “Biz – War – Ground”… And of course, the chronicles are rewarded in the best of ways. PPOs, PPIs, cash prizes, goodies and a tremendous learning opportunity – all are part of the contest guerdons. 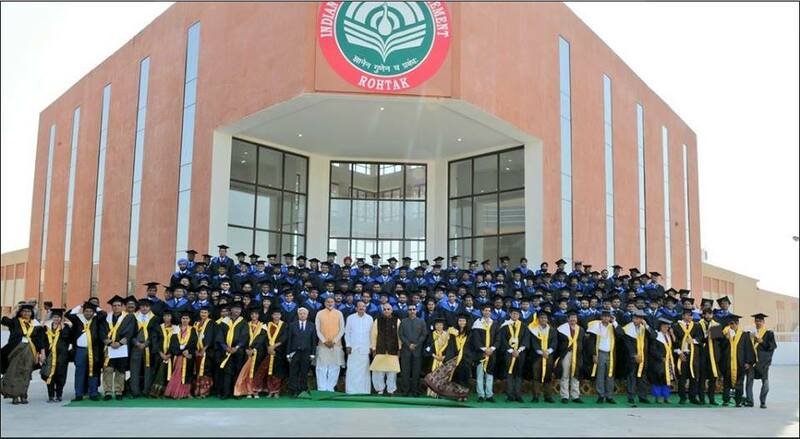 In the past couple of years, IIM Rohtak has emerged as a vanquisher in this b-school competitive battlefield and has grabbed the eyeballs of the entire business fraternity. Here’s a list of the winners’ in recent times who have taken the flag of IIM Rohtak to new heights. The wins mentioned above along with many other laurels by the students have indeed raised the competitive bar at IIM Rohtak. Furthermore, three students secured 13th, 14th and 18th positions’ in the prestigious Dare2Compete Competitive Business Leaders of the Year Awards, 2018. The faith of industry stalwarts has therefore been continuously growing in our students and it was clearly demarcated by the 100% placement figures of IIM Rohtak for the 7th consecutive year. The incessant hunger for wins is vouched to produce many more biz champions in future out of IIM Rohtak, and we wish all the best to the upcoming batch for the biz – battles to come… AND OF COURSE TO BE WON!